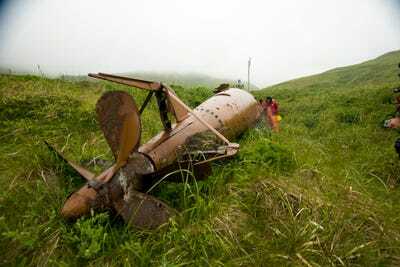 Image courtesy of Kiska: Alaska’s Underwater Battlefield expedition.Members of the expedition take time to examine a Japanese mini submarine that remains in the historic sub pens on Kiska Island. Almost exactly 75 years ago, on August 18, 1943, the USS Abner Read was rocked by a severe explosion. The blast – which most historians say was likely a Japanese mine – tore the 75-foot stern section of the ship clean off. The stern plummeted to the depths of the ocean, taking the lives of 71 US sailors with it, while other US ships rushed to the rescue. 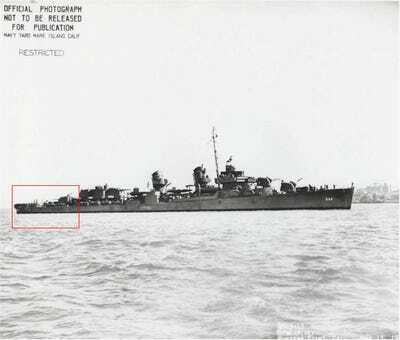 Though the rest of the USS Abner Read was miraculously saved and towed into port, the original stern was thought to be lost forever – until now. On July 17, a team of scientists, divers, and archaeologists partially funded by the National Oceanic and Atmospheric Administration discovered the missing section of the ship in just under 300 feet of water off the coast of Kiska Island, a part of Alaska’s remote Aleutian Islands chain. Here’s what the expedition to discover the long-lost wreck was like. 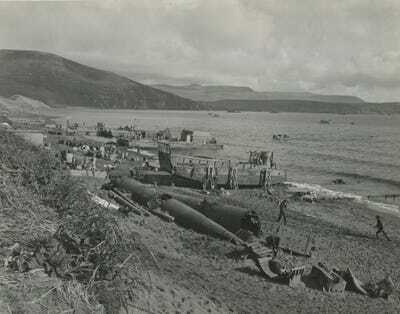 The Aleutian Islands campaign was one of the few major World War II battles fought on US soil. But the area’s place in WWII history is often forgotten, perhaps because the islands are remote, cold, and difficult to get to. That’s part of the reason the Abner Read lay undiscovered for decades. 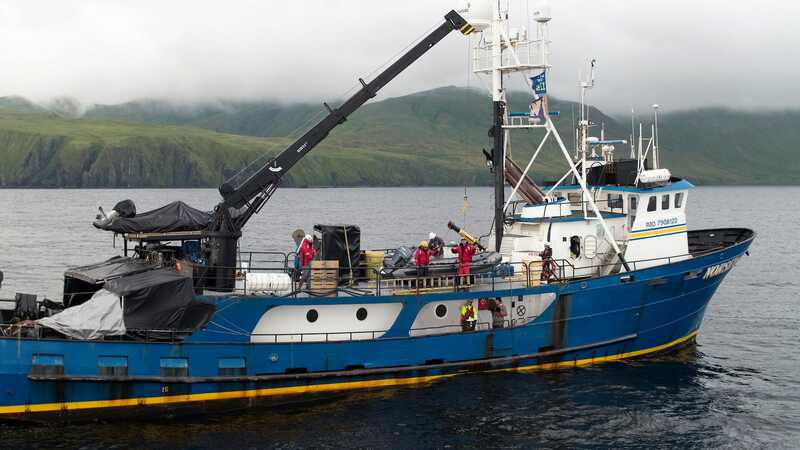 Image courtesy of Kiska: Alaska’s Underwater Battlefield expedition.The R/V Norseman II at sea near the Aleutians. 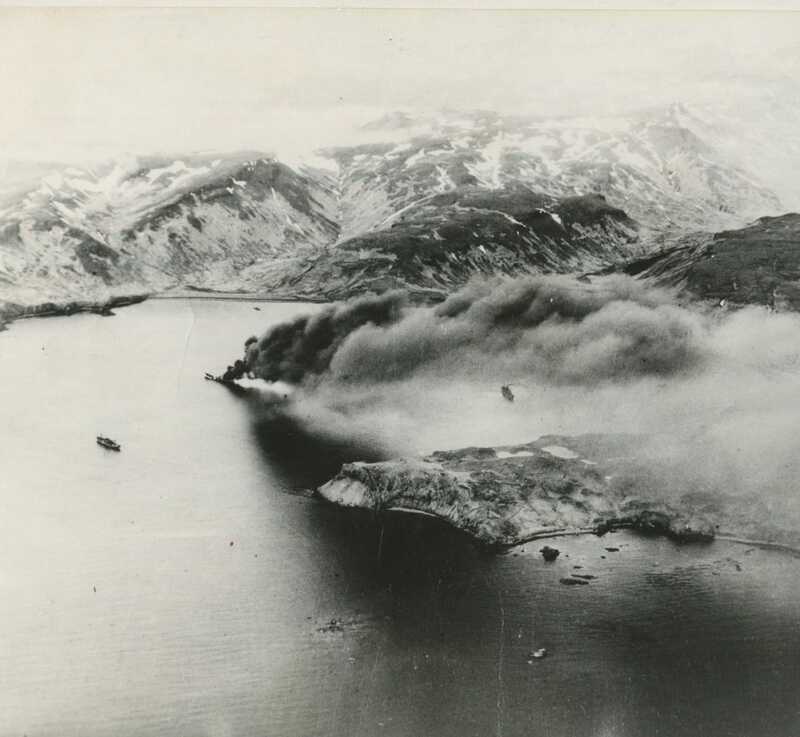 In June 1942, Japanese forces took over and occupied a pair of remote Aleutian islands: Kiska and Attu. mage courtesy of NARA RG80G 11686A North American B-25 Mitchell Glides over an American destroyer after taking off from Unmak Island for a raid on the Japanese base at Kiska. American forces quickly called in a number of battleships, including the USS Abner Read, as well as heavy air power to repel the Japanese invasion. Released/U.S. Navy PhotoUSS Abner Read (DD 526) as seen in Hunters Point, California on June 13, 1943. 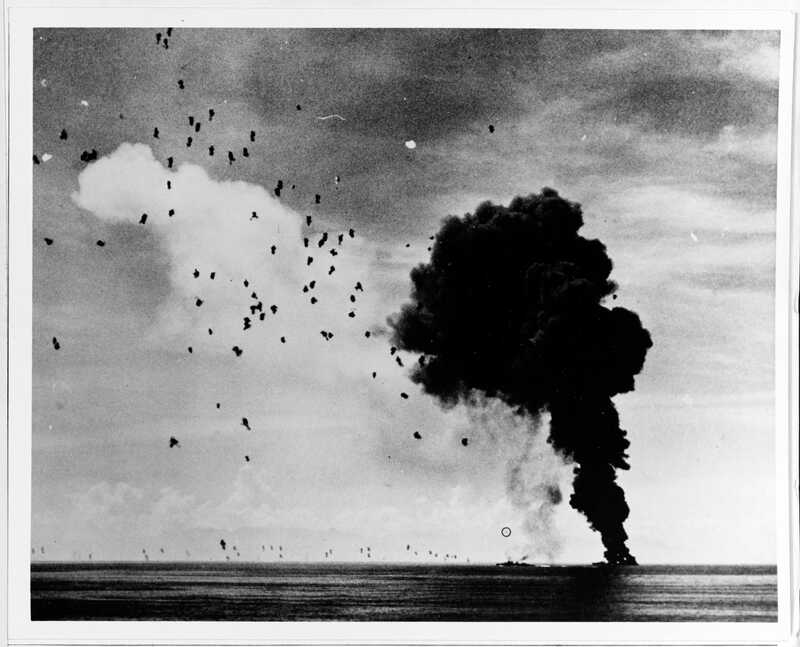 By August 1943, the USS Abner Read was part of a bombing campaign on the two Japanese-occupied islands. Image courtesy of NARA RG80G 11686The 474-feet long Japanese transport ship Nisan Maru sunk in Kiska Harbour after it was stuck by bombs dropped by the US 11th Air force on June 18, 1942. Two other Japanese ships are visible in the harbour nearby. After the stern section of the Abner Read sunk on August 18, 1943, it remained lost on the bottom of the sea for almost 75 years. The ship was eventually repaired and re-entered active service. Released/U.S. Navy PhotoUSS Abner Read (DD 526) afire and sinking in Leyte Gulf, November 1, 1944, after being hit by a kamikaze. 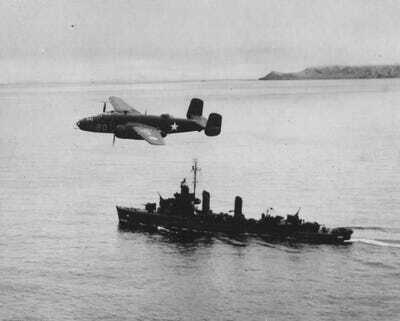 A second Japanese suicide plane (circled) is attempting to crash another ship; however, this one was shot down short of its target. 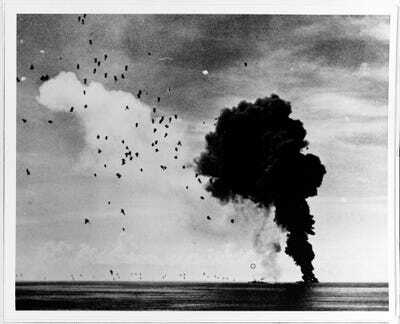 In 1944, the Abner Read was sunk off the coast of the Philippines by a Japanese dive bomber, as seen in the image above. American forces ultimately repelled the Japanese occupiers, but suffered a heavy loss of life in the little-known battle. Image courtesy of NARA RG80G 80363US soldiers inspect Japanese midget subs left behind after the US retook Kiska Island. 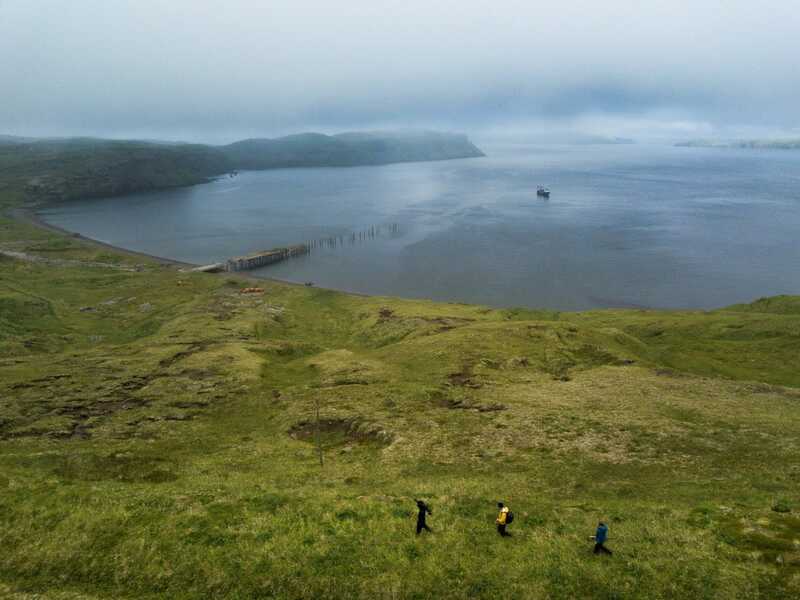 To get to Kiska, the team of NOAA-sponsored researchers flew to Adak, a remote community in the Aleutians. Then they travelled 250 miles over rough seas to Kiska on a ship called the R/V Norseman II. 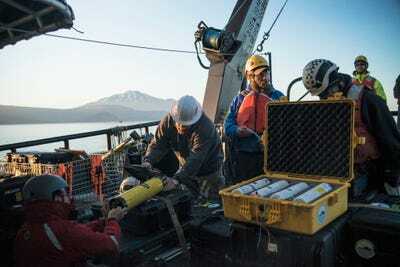 mage courtesy of Kiska: Alaska’s Underwater Battlefield expedition.Team members launch one of the project’s four REMUS 100 autonomous underwater vehicles from R/V Norseman II for a survey of the seafloor. The expedition was part of Project Recover, a collaborative partnership between the University of Delaware, the Scripps Institution of Oceanography at the University of California, San Diego, Bent Prop, a nonprofit, and US Navy partners to find and document the underwater resting places of American soldiers from World War II. Image courtesy of Kiska: Alaska’s Underwater Battlefield expedition.Team member Matt Breece lowers the project ROV over the side of Research Vessel Norseman II. 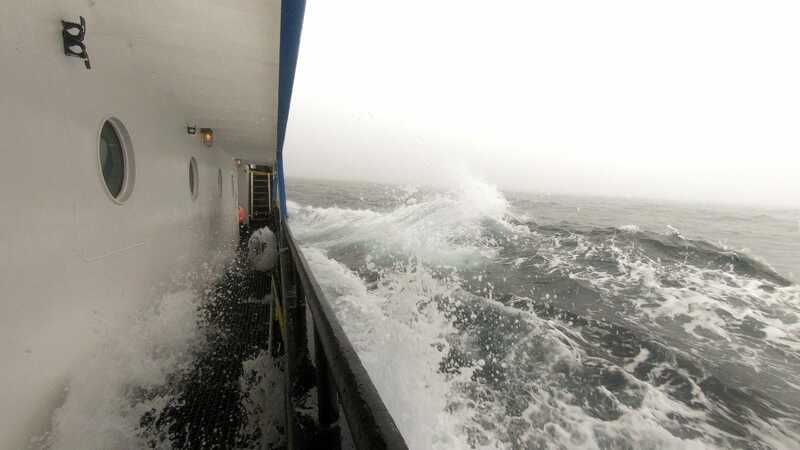 Operating the technology in stormy, cold, and wet conditions proved to be a constant challenge for the team. Courtesy of Project RecoverProject Recover team members perform maintenance on a REMUS 100 AUV. “The 17 hours of daylight that now occur at this high latitude were both a godsend and a curse as there was ample time to work, but little time to sleep,” Eric Terrill, an oceanographer and the leader of the expedition, said in a mission log. 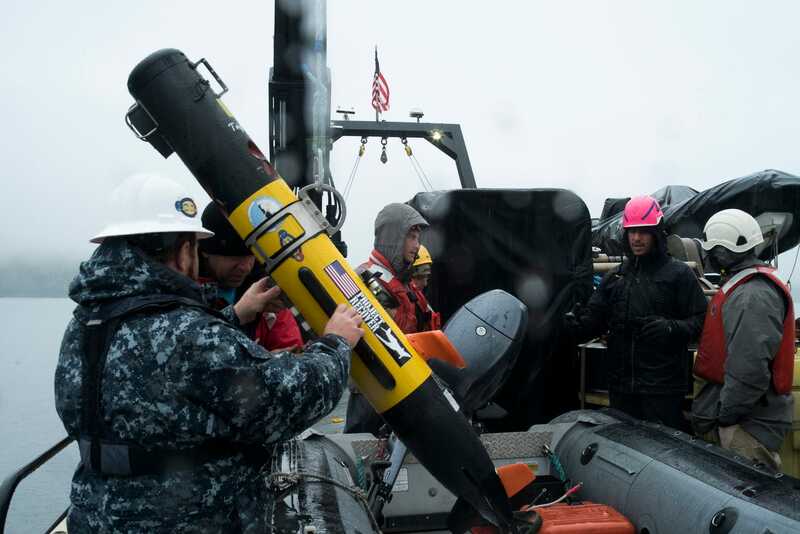 Image courtesy of Kiska: Alaska’s Underwater Battlefield expeditionA dive team deploys to investigate sonar targets collected by the REMUS 100 AUV. The R/V Norseman II sails in the background. To narrow down the search area, the team looked at historical charts and reports, then used a fleet of Remus 100 autonomous underwater vehicles (AUVs) to help them locate the wreckage. 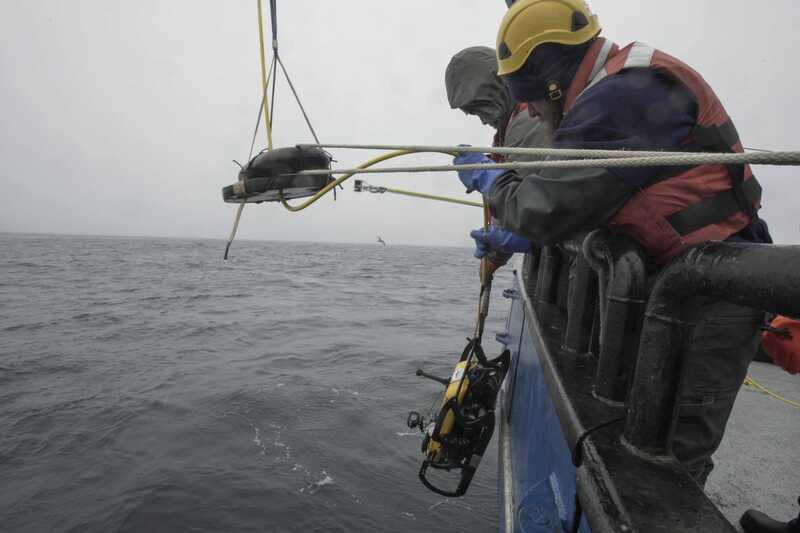 Courtesy of NOAA Project RecoverProject Recover team members Bob Hess and Eric Terrill prepare to launch one of four REMUS 100 AUVs utilised during a survey. 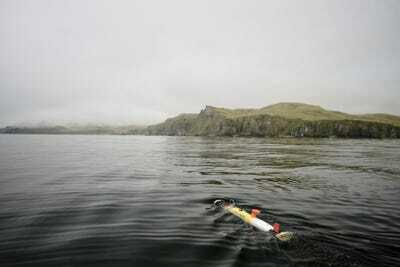 When they found promising images from the AUVs, the team sent out divers to scan for more clues. 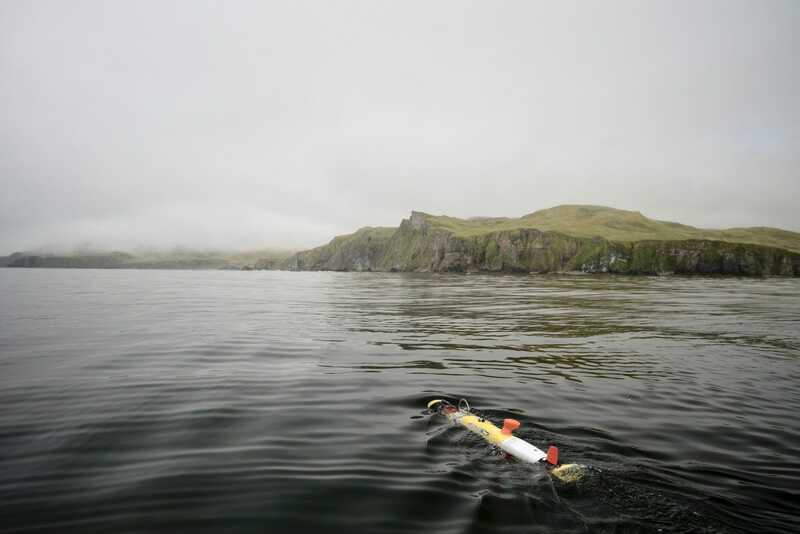 Courtesy of Project RecoverA REMUS 100 AUV glides away from a research boat before diving beneath the surface, where it would spend the next six hours systematically scanning the seafloor. The team also surveyed Kiska, which is still full of WWII wreckage. 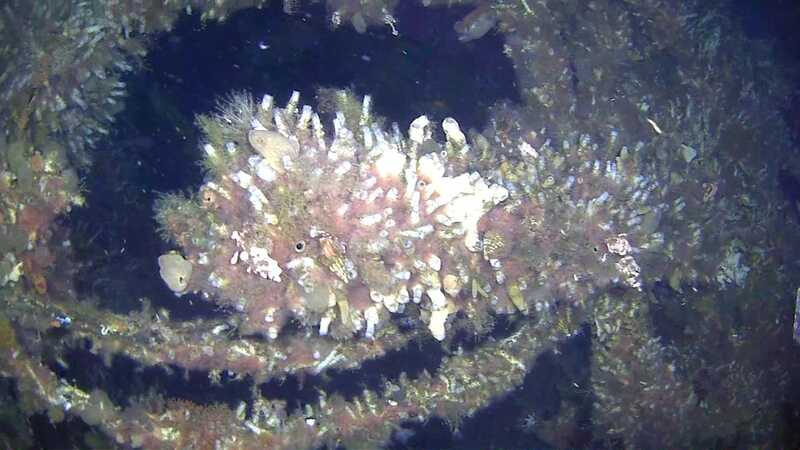 They found these cannons and another sunken warship off the coast. 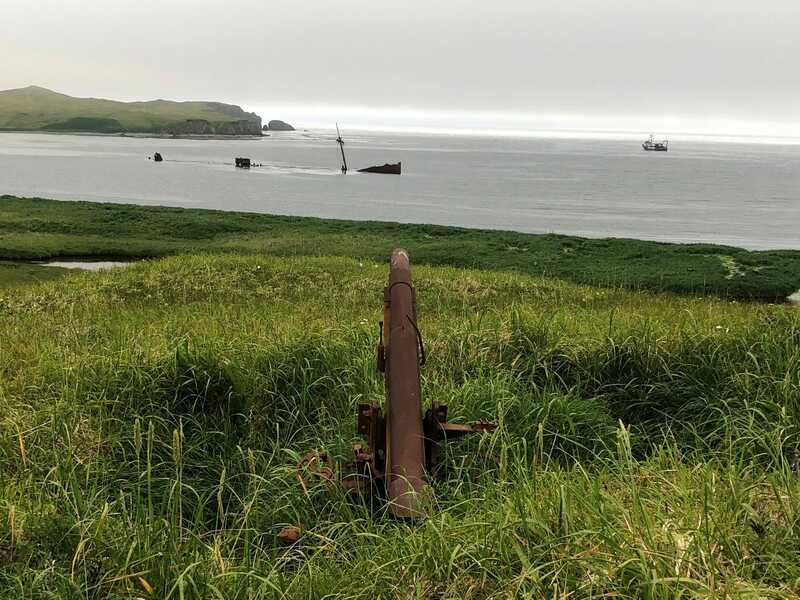 Image courtesy of Kiska: Alaska’s Underwater Battlefield expeditionA view from Kiska Island overlooking a cannon, sunken ship, and the Norseman II. 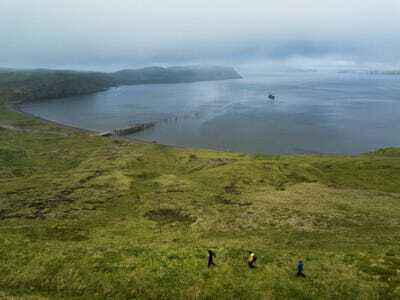 “We hiked the hillside and saw remnants of a battlefield with barbed wire, overturned military vehicles, hillside cannons, underground bunkers, craters from bombing blasts, and unkempt trails or roads,” Erik White, an engineer on the expedition wrote in a mission log. 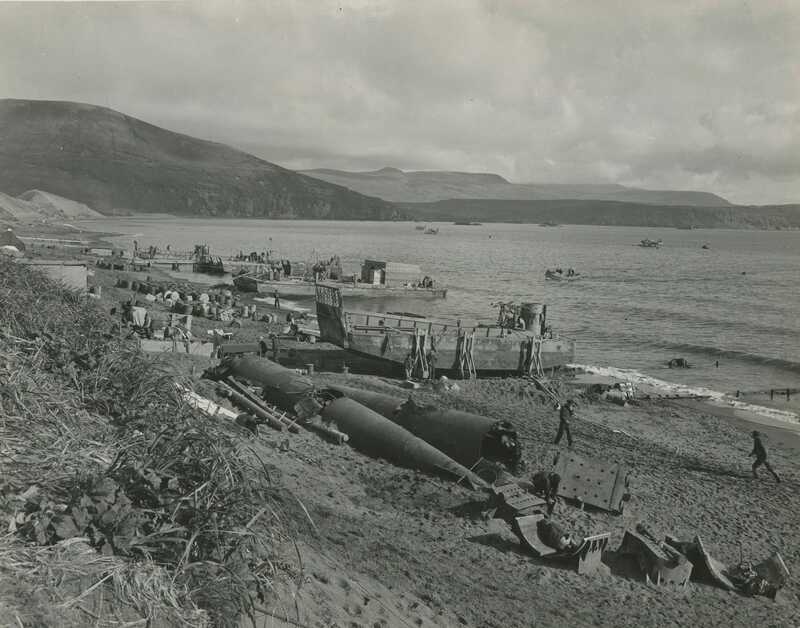 Image courtesy of Kiska: Alaska’s Underwater Battlefield expedition.Members of the expedition take time to examine a Japanese mini submarine that remains on Kiska Island. While beautiful, the island is a frigid, haunting monument to a battle that claimed the lives of almost 5,000 Japanese and American men. 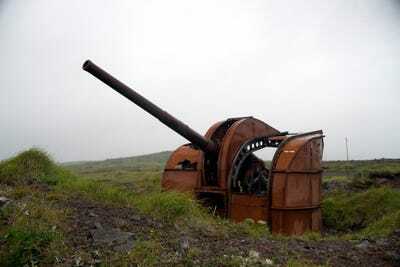 Image courtesy of Kiska: Alaska’s Underwater Battlefield expeditionA 120-millimetre anti-aircraft gun on Kiska Island. On July 17, the research team struck gold: one of the AUVs returned images of the lost stern section of the Abner Read. 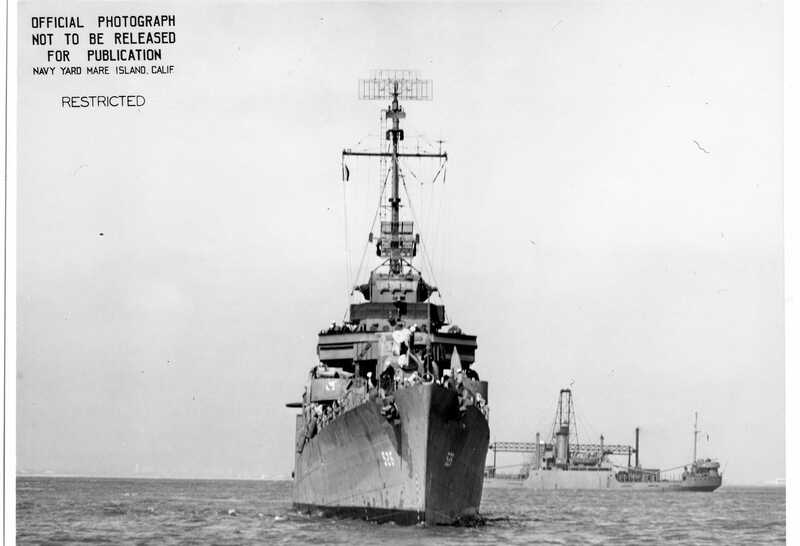 Image courtesy of the U.S. Navy.Historical image of the USS Abner Read. The red box indicates that section of the vessel that was blown off and sunk when the vessel struck a mine on August 18, 1943. 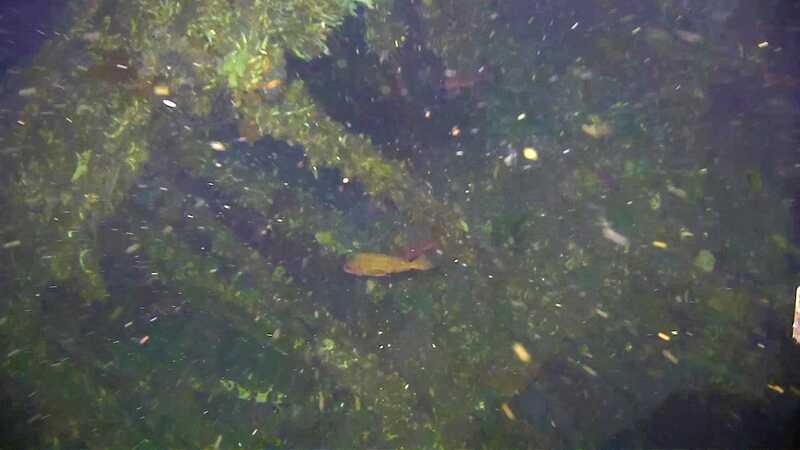 The wreck was found 290 feet deep. To confirm that it was the Abner Read, the team deployed a remote-operated submarine to examine it closely. Image courtesy of Kiska: Alaska’s Underwater Battlefield expeditionWreckage of the USS Abner Read captured by the project’s remotely operated vehicle. Image courtesy of Kiska: Alaska’s Underwater Battlefield expedition.The inside of the hull of the USS Abner Read’s stern. After 75 years at the bottom of the ocean, marine life has started to make the wreck home. 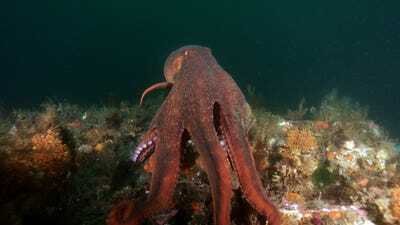 Image courtesy of Kiska: Alaska’s Underwater Battlefield expeditionA giant Pacific octopus now lives on the wreckage. 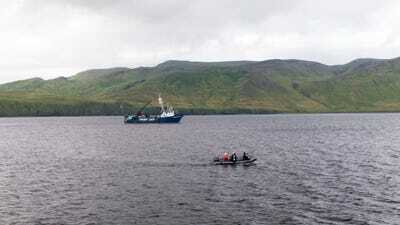 For now, archaeologists have no plans to bring the ship up to the surface. 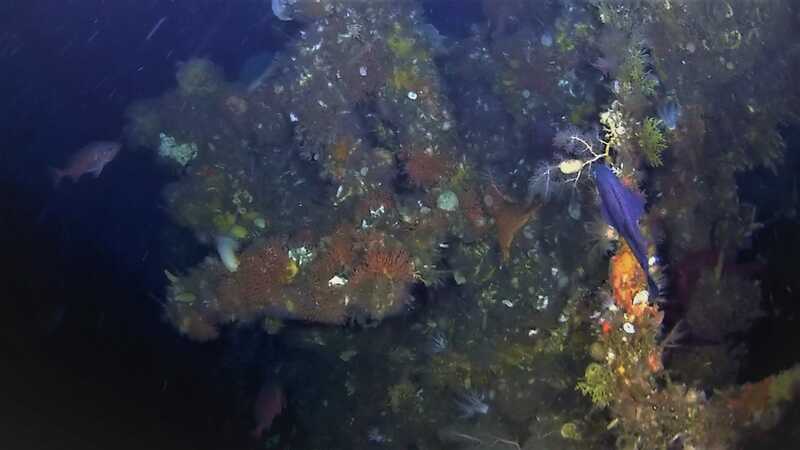 Image courtesy of Kiska: Alaska’s Underwater Battlefield expedition.Wreckage of the USS Abner Read captured by the project’s ROV. “We take our responsibility to protect these wrecks seriously,” Samuel Cox, the director of the Naval History and Heritage Command said. The USS Abner Read is the “last resting place of American sailors,” he added. NOAA Project RecoverTeam members explore the island.